Like an onion, a conversation is often made up of layers. On its face it may appear to be on one level, but peel away a layer or two, and you will find other issues lying beneath the surface. Providing techniques to analyse conversations, Conversation Starters will enable you to develop creativity by taking your brain to a space where originality can flourish, by enhancing problem-solving skills, and by improving conversation and listening skills. Even if you wouldn’t describe yourself as creative,” this book will give you the chance to think and express yourself in innovative and productive ways. The book’s one thousand conversation-starting topics offer easy ways to move away from traditional discussion themes as well as the opportunity to develop and enhance speaking and listening skills. They provide the opportunity to approach and explore issues and then to formulate and express your thoughts and responses in innovative and challenging ways. You’ll discover new ways way to connect with others, avenues to help you learn new things and connect with other people in stimulating and satisfying ways. 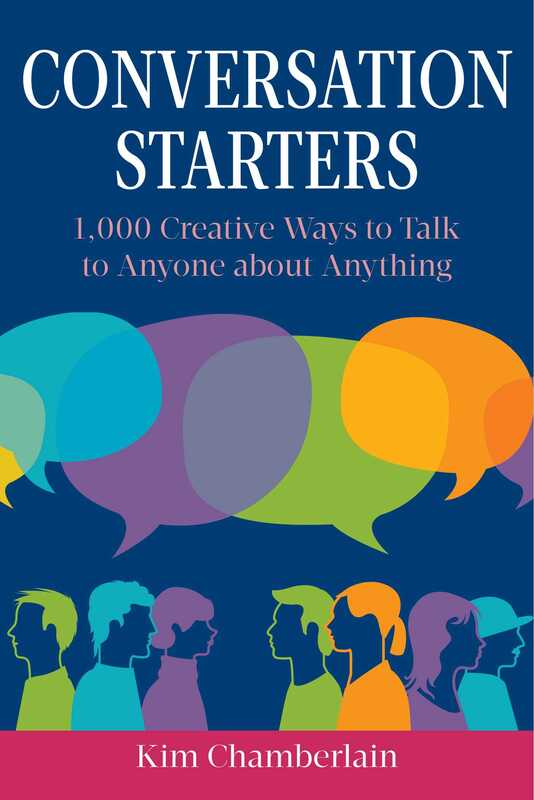 In addition to the conversation starters are tips and quotes relating to discovering and enhancing creativity while initiating and maintaining conversations.